So as everyone surely already knows, Kickstarter is a "thing" these days. For a lot of people I know (including myself) it never really came onto the radar until earlier this year. A fellow by the name of Tim Schafer (Monkey Island, day of the Tentacle, Grim Fandango, etc) started a Kickstarter to create an adventure game. This lit the industry on fire. Certainly smaller indie games had been funded through kickstarter before, but never had a major title gone that route. I think a lot of people (again, myself included) threw their money at Double Fine Adventure because of what it represented more than a desire to actually play the game. I'm sure a lot of people fall into the second camp as well, but that's sort of the beauty of what Kickstarter represents to the video game community. Kickstarter is pretty much the most direct method that a consumer currently has to talk with their money. If a game like Obsidian's "Project Eternity" comes along and enough people want it, it will happen. Publishers be damned, people will give their money directly to the devs. It means that oldschool games that most publishers aren't likely to touch these days can still see the light of day. It means that consumers can send a message with their dollar, in the form of what projects get funded. However like everything else in existence, there is a bandwagon. Nobody was surprised when games started going on Kickstarter left and right after Double Fine's success. Unfortunately as time goes by, more and more issues begin to arise with the whole Kickstarter format for funding games. The issues don't lie with Kickstarter itself so much as with the approach people are taking to the projects they put up. These days there are so many games going up, people are getting "Kickstarter Fatigue". As a result, that initial wave of "wow I'm giving you my money because I approve of crowdfunded video games" is long since over. People are significantly more discerning about which games they back now. Combined with a lot of games asking for around a million bucks to reach "funded" state, and problems arise. As I said, a lot of the problem lies in the pitch, a lot of pitchers just don't seem to get how to do it. It's not all their fault though, there is also a bit of a catch 22 in the process. 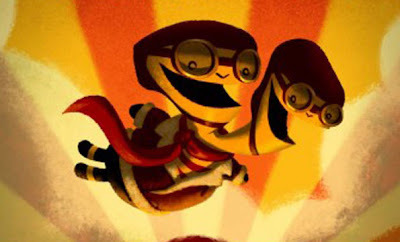 Ultimately though, if Double Fine adventure hadn't been the first of it's kind, it likely wouldn't have made anywhere near as much dineros. Tim Shafer can probably pull the 400k they were asking for all on his own, but the Double Fine Adventure pitch still embodies what a lot of these people are doing wrong. So the issue with most of these games going up on Kickstarter is that there just isn't any information on them. So many of the pitches we have seen are "Hi I'm famous and want to make an old school game, please insert money into this box" without any real meat behind the pitch. I don't think it's reasonable to expect people to pony up for a game they know nothing about. Evidently I'm not alone, either. Recently we saw SHAKER: An RPG by Brenda Brathwaite & Tom Hall fall on hard times, and that's exactly what their pitch was. Even after releasing gobs of information about the world, backstory etc. the project has yet to reach 250k out of the million dollars they asked for, with the pitch about half way through it's life. I personally have a hard time commiting money without some sort of video or screenshot demoing gameplay. The issue then is how do you make said assets before you have the game's funding? As I mentioned earlier, it something of an unfortunate Catch 22. It's unfortunate too, because as much as I would love Shaker (originally titled "Old School RPG" to have succeeded, it's totally understandable why it didn't. Same goes for the Class of Heroes II kickstarter by Victor Ireland/Monkey Paw games. I'm a ridiculously huge fan of JRPGs and Old School RPGs both. I want to talk with my money, but these pitches just aren't feasible I can't commit to a game I know nothing about, and I need to see something from my money. Class of Heroes II has absurd backer rewards, and that is a huge turnoff. People don't care about the feeling of contributing to a game being made. They want to get something out of it. I think it's safe to say that the number of people willing to pay $10 for a thank you email is pretty low. The final issue I have with Kickstarter is visibility. This one is partly the site itself's fault, though not entirely. I think a lot of it comes down to the media as well. The fact of the matter is that big names sell games, whether it be a person (Tim Schafer), a franchise (Shadowrun) or what have you. Kickstarter games that don't get the media coverage seem like they tend to suffer greatly without that word of mouth. Which makes sense, but at the same time it takes an awful lot of wind out of the sails of the whole "speak with your dollar" thing. For instance, I would love for Rainbow Nightmare to be successful. It has all of the qualities of a good pitch. Gameplay video and screenshots, gobs of actual concept art (not some digital painting of a random landscape), a reasonable funding goal, decent reward tiers... Yet it will likely flounder in obscurity and fail. Here's hoping!